For more than 45 years Attorney Philip F. Heller practiced law in Berkshire County, Massachusetts. 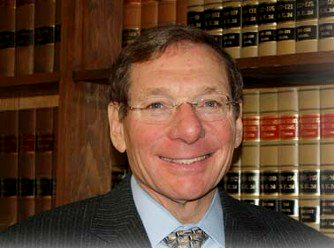 He began his private law practice in Lenox, Massachusetts in 1976. He was a co-founder of the firm Rutberg & Heller, established in 1984 with Attorney Fredric D. Rutberg. Attorney Rutberg left the firm in 1994 to become a District Court judge. In 2008 Phil and Attorney Lori A. Robbins formed the partnership Heller & Robbins, located at 36 Cliffwood Street, Lenox, Massachusetts. At the beginning of his career, Phil worked as a part-time public defender for the Massachusetts Defenders Committee, a position he held for six years. He then was appointed as a special prosecutor for the Berkshire County District Attorney’s office and continued working part-time as an assistant district attorney for an additional eight years, all while establishing and maintaining his law practice in Lenox, Massachusetts. Phil’s practice included a wide range of real estate, zoning and business law. He represented a broad clientele in the Berkshires, from large hospitality companies and cultural institutions and businesses to countless individuals and families. He established a reputation as an expert in zoning law, permitting and development. He successfully represented many clients before local and state permitting authorities throughout the region. Phil was known for his generosity in providing pro bono legal services to local non-profits, including Shakespeare & Company, Berkshire Theatre Festival, Ventfort Hall, and the Berkshire Visitors Bureau. For 40 years he also served on the board of the Edward J. Madden Open Hearts Camp. In the community, he served for many years on the town of Stockbridge Parks and Recreation Commission.